Intel and AMD have been slugging it out for decades now, but Intel has emerged victorious most of the times, be it in sales or revenue. But it appears that AMD has finally gained an upper hand over its arch-rival and has managed to outsell Intel by a margin of over 100% in November, while also racing ahead of Intel when it comes to revenue. As per data collected by Mindfactory, one of Germany’s largest retailer of computer parts, AMD scored a big victory over Intel by selling more than twice the number of processors compared to Intel’s offerings in November. AMD sold more than 16,000 processors in November while Intel missed the 8,000 mark. 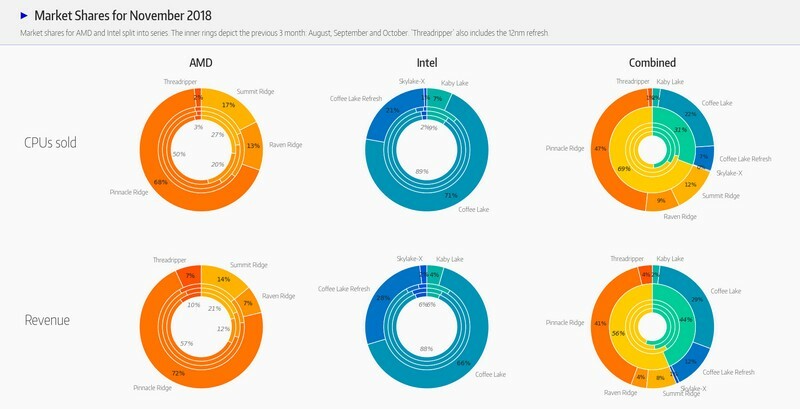 In terms of percentage sale, AMD’s Ryzen and Threadripper processors accounted for 69% of the sales, while Intel lagged behind with 31% of the processor sales in the previous month. As you can see in the graph above, the tide started turning in favor of AMD after July when both the companies were neck to neck in terms of CPU sales, but in the subsequent months, AMD’s lead over Intel continued to grow and is now more than double that of Intel’s share. AMD’s second-gen Pinnacle Ridge processors accounted for a lion’s share of the sales, with the R5 2600, R5 2600X and the high-end R7 2700X being the major contributors. while the Core i7 8700K, Core i5 8600K and the Core i5 9600K drove the majority of processor sales for Intel. However, when it comes to revenue, the gap between Intel and AMD is not as wide as the sales numbers. AMD took 56% share of the revenue from processor sales in November and pocketed over 3.5 million euros, while Intel bagged just over 2.5 million euros with a revenue share of 44%. 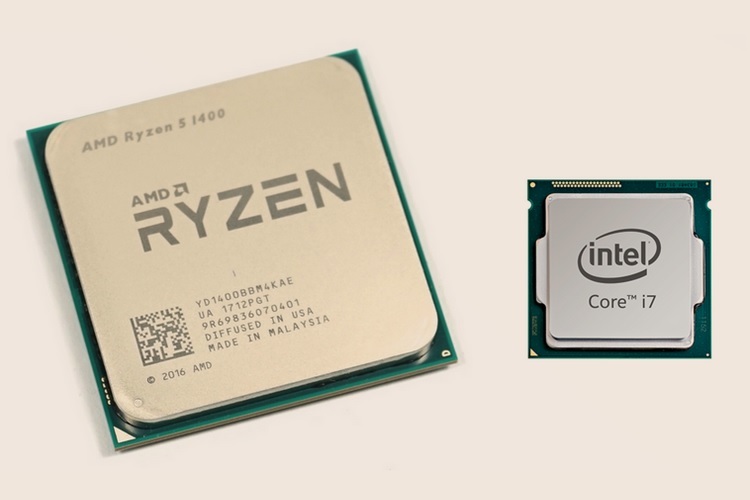 Despite the huge gap in sales figures, the considerably smaller difference in revenue can be attributed to the fact that Intel’s CPU’s are priced much higher than AMD’s offering, be it the entry-level Ryzen CPUs competing with Intel’s low-end processors or the beastly Threadripper which goes head-to-head with Intel’s enthusiast-class Core i9 series.